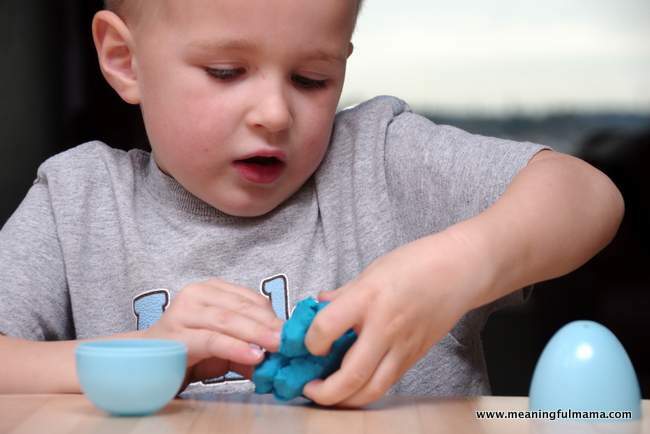 These play-doh plastic Easter egg filler idea was born out of some play time with my son. I wanted to make the play-doh within the egg more meaningful and tie into the Easter theme. I began to think about how we want to be like God’s play-doh. We want Him to mold us and shape us to be more like Jesus. God can do this as we begin to grasp the resurrection power. That’s what Easter is all about. Jesus conquered sin for us. So, “While we were still sinners, Christ died for us” – Romans 5:8. He took away our sin. Through that knowledge and appreciation for all He did, we begin to be transformed to become more Christ-like in our love and actions. We let him mold and shape us as we submit to His will for our lives – a way better and bigger plan than we could imagine. 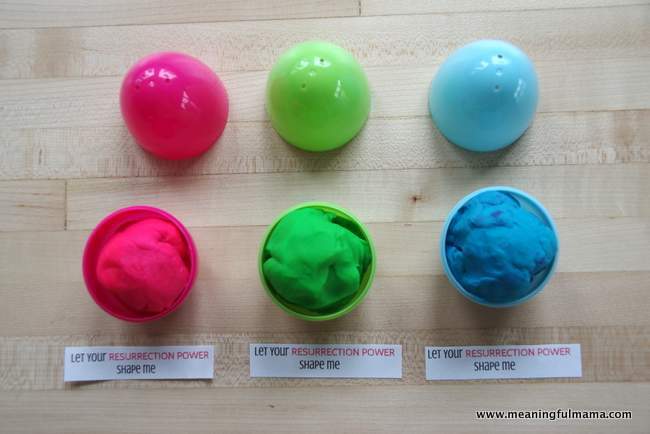 These play-doh plastic Easter egg fillers celebrate those truths. This idea comes with a free printable so you can re-create it for your own kids. I love to find ways to make sure the true meaning of Easter is instilled in my children. 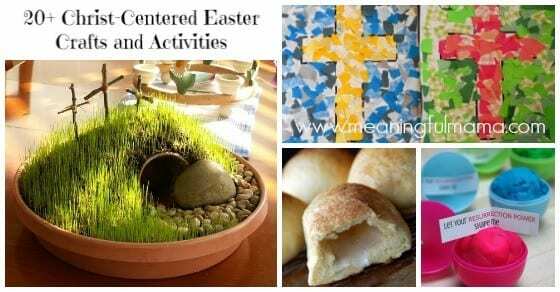 If you are looking for some Christ-centered Easter activities, I hope you will check out my resurrection craft idea, fingerprint crosses, Easter tomb activity, mosaic crosses and resurrection rolls. Check out my Easter tab for more fun ideas to celebrate the season. These play-doh filled plastic Easter eggs would be a great thing to give to your own kids. 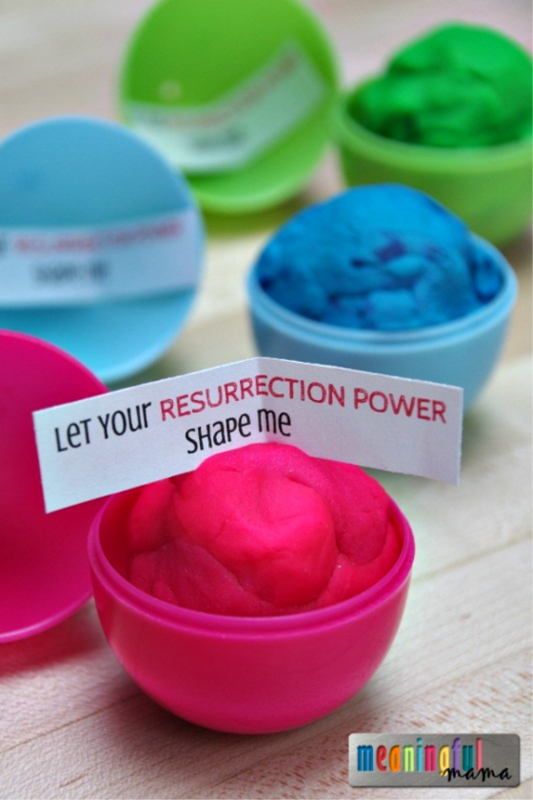 If you are a Sunday School teacher, this is a great idea to hand out at the Easter celebrations at your church. It is a Christ-centered Easter gift perfect for kids. Simply print and cut out the printable provided. 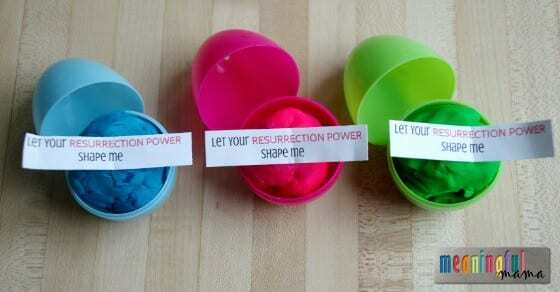 Stuff play-doh into the plastic eggs, fold the printable and close up the lid. Kids will love receiving something unique in their plastic eggs. You love that they are learning God’s truth. I hope you have fun spreading this message to the kids in your life! Want More Christ-Centered Easter Ideas? This is fantastic! I was looking for something Christ-centered that wasn’t candy and this fit the bill to a tee. Thank you so much for the awesome idea and freebie! So glad to help. I love knowing it’s being used so thank for checking in. Have a very merry Easter. He is risen! I am doing Children’s Ministry this year for our church to give the normal leaders a break. I have nursery kids (0-3) then childrens in a separate section 3-7, what do I do?! crafts? I was thinking the resurrection eggs, but what kind of craft could I send them home with? Hey – I’m sorry it’s taken me a couple days. 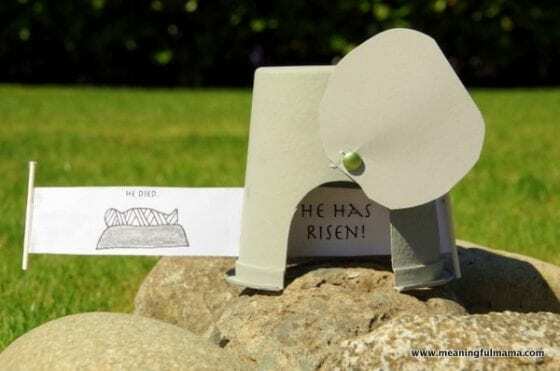 I have a couple ideas for you found from my Easter tab – https://meaningfulmama.com/tag/easter The first is a paper mosaic cross. You’d want a bunch of paper pre-ripped in probably slightly larger pieces than you see since your window of time is smaller. Here’s the post: https://meaningfulmama.com/mosaic-cross-craft-for-easter.html Another cross idea can be found here: https://meaningfulmama.com/cross-fingerprint-craft-awana-cubbies-bear-hug-18.html – It involves fingerprints. You could get a bunch of stamp pads for faster drying time. 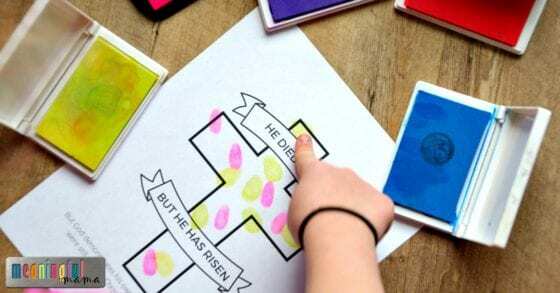 I also like the tape resist cross found in the post: https://meaningfulmama.com/20-christ-centered-easter-crafts-activities-kids.html – There are actually a few ideas that might be helpful there. I hope that helps. Blessings as you serve the littles! Actually – I just looked at the age group. That might be harder. Umm…gosh off the top of my head I think of pictures they can glue on a cross. Man – I wish I had more time. Maybe I’ll see if I can create that craft for you and get it live tomorrow. I know it’s super last minute, but I bet a lot of nursery workers are looking for something to do with the little ones. We’ll see if I can pull something out. OK – I put something together that I will try and get up my blog tomorrow, but I’m going to send it to your email just in case it will help for this weekend. I actually love this idea. I was looking at the eggs and thinking that they would make great Play-Doh holders and would be great for me to send home with my Sunday school children. I just couldn’t figure out how to work it into the lesson. Then I found your blog post. Thank you so much and Happy Easter. God Bless. Yay! So glad this helped. I hope it went over really well and that you had a blessed Easter.